Do you love your banker? We do! So Robin was happy to be included in new testimonial ads for WesBanco. We always strive for great customer service, so we appreciate being on the receiving end as well! 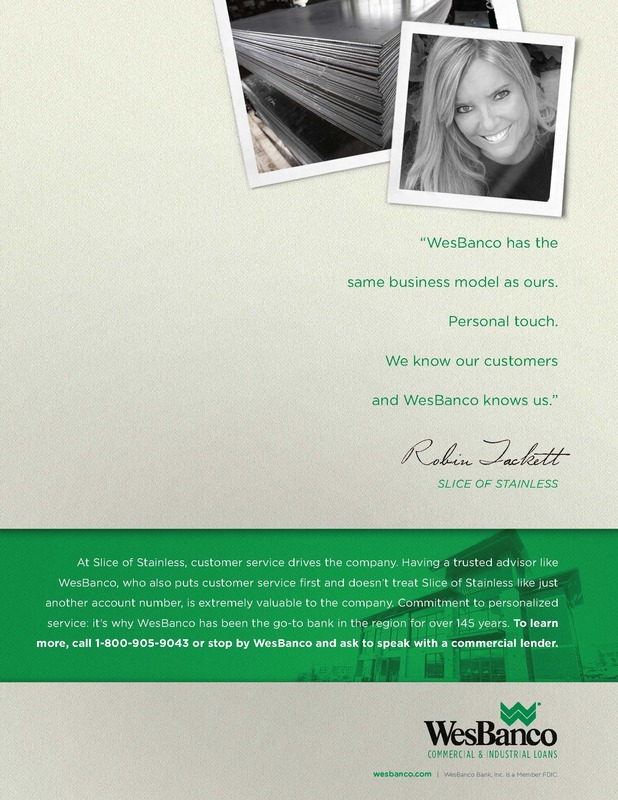 WesBanco is a good fit for us, as their “personal touch” message communicates in the ads. You might see Robin’s face on a billboard, or in Business Week, Fortune or Forbes where the print ads will run. Digital banners will run in e-newsletters such as Crain’s. The campaign will have similar testimonials from Homer Laughlin, Muriale’s Restaurant, Weirton Medical Center and Kalkreuth Roofing. Thank you WesBanco, for so many years of good advice and personal service. Exactly what we try to provide for our customers!